Few of us can imagine what it's like to be joined to another human being, condemned to share every private moment of our lives until death. Even fewer would dream of choosing to undergo a high-risk operation that could result in our own death, or in the death of our closest brother or sister. But this is the everyday fabric of life as a conjoined twin. This intense and intimate series (shot in South Africa, USA, USSR & the UK) is full of shocks and surprises as we follow the tense narrative of a couple as they face up to the difficult choices, unexpected events and powerful emotions that precede the birth of their twins - who appear to share a single heart. A decade after a terrorist bomb caused the worst air disaster in British aviation history, the daughter of one of the 270 victims goes to Lockerbie to uncover an extraordinary tale of horror, love and generosity. 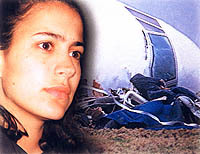 “Almost as soon as it began, it occurred to me that the unbearably moving SURVIVING LOCKERBIE, would be one of those precious programmes which I'd probably never forget….a deep sense of intimacy permeated the film and there was even a certain incongruous beauty which arose, like a phoenix, from the impact.” - The Independent. Having gained the highest viewing figures in the Everyman series the film was short-listed for a BAFTA and nominated for an RTS award. A former US airforce captain, an ex-naval officer, a town planner and a computer engineer all share a bizarre yet overwhelming desire - to be castrated. They don't want to become women. They just want to be eunuchs. 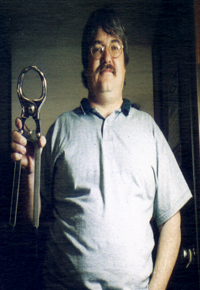 In the last 3 years more than 4,000 men have sought advice on how to get castrated. Of those roughly a quarter will actually have it done - probably by unlicensed, illegal “cutters”. This film brings a strange, hitherto unrecognised, phenomenon to the surface. The result is shocking, honest and touching.